Studies suggest that ibogaine has considerable potential in the treatment of addiction to heroin, cocaine, crack cocaine, methadone, and alcohol. There is also indication that it may be useful in treating tobacco dependence. It has also been suggested that the drug may have considerable potential in the field of psychotherapy, particularly as a treatment for the effects of trauma or conditioning. A single administration of ibogaine typically has three effects useful in the treatment of drug dependence. Firstly, it causes a massive reduction in the symptoms of drug withdrawal, allowing relatively painless detoxification. Secondly, there is a marked lowering in the desire to use drugs for a period of time after taking ibogaine, typically between one week and several months. This has been confirmed by scientific studies. Finally, the drug’s psychoactive nature is reported to help many users understand and resolve the issues behind their addictive behaviour. Ibogaine can be easily administered, in capsule form, and has no addictive effects itself. It is essentially a “one-shot” medication and, used in a fully clinical setting with proper advance medical screening, the drug thus far appears to be safe to use. Whilst it certainly happens that some individuals stop using drugs permanently from a single dose of ibogaine, for many the treatment should best be regarded as simply the initial component in an overall rehabilitation programme. Although approved for clinical trials (trials on humans) for the treatment of addiction in the US in the early 1990s, problems with financial backing and other issues have so hindered the development of ibogaine that, as of early 2005, it remains undeveloped and thus unavailable to the majority of addicts worldwide. There are however now an increasing number of private clinics, located mostly around the Caribbean and Central and South America, that offer ibogaine treatment at prices starting around £2,000, (approx US$4000). Some lay treatment providers offer lower cost treatment, with varying levels of medical facilities, in Europe. 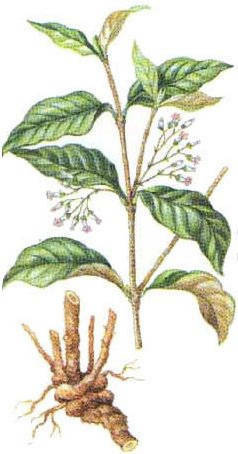 In addition, ibogaine, either in pure form or as a plant extract, has become available from some lay sources on the internet. Ibogaine’s current legal status in the UK, and much of the rest of the world, is that of an unlicensed, experimental medication, and it not therefore an offence to possess the drug, though to act as a distributor may be breaking the law. Ibogaine is a restricted substance (possession is illegal) in some countries, including the US, Switzerland, Denmark, Sweden and Belgium. 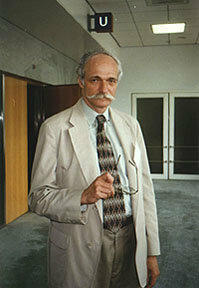 Announcement – Howard Lotsof, father of ibogaine passed away on Sunday January 31st 2010 after some years of illness. He was active in promoting ibogaine right up until he left. Without Howard many people would likely never have beaten addiction and perhaps the world would still not know about this amazing natural substance. We all owe him an immense debt of gratitude – Nick Sandberg, website owner.